This is the first in a three-part series related to managing financial risk associated with timberland investments, wood procurement and forest management activities. In his 1989 book Liar’s Poker, which provides a behind-the-scenes look at Wall Street, Michael Lewis writes, “Risk, I learned, was a commodity. Risk could be canned and sold like tomatoes.” While this might be true for traders and insurance brokers, it has not been the prevailing view or practice in the forest industry or timberland investing sector. Ten years ago, I attended a Global Forest Products conference in New York and listened to a panel of forest products Chairmen and CEOs express little interest and much skepticism regarding the potential role of derivative securities – such as options and futures contracts – for managing risk at their firms. Rather, timberland investors and researchers – such as Chris Zinkhan in 1995 and David Newman in 2002 – often view forest management as valuing and choosing between a series of real options. In part, this focused on the traditional forest management problem of identifying the optimal forest rotation. Real option theory addresses limits of net present value (NPV) analysis, which screams “YES, INVEST!” in all investments where the present value of incoming cash flows (benefits) exceeds the present value of outgoing cash flows (costs). Simply, NPV analysis takes a view of decisions as fixed, while real options analysis assumes a dynamic view of the future and considers issues such as flexibility, volatility and contingency. However, the leap to real options thinking and research in forestry bypasses applications regarding the use of financial options and related contracts in managing forest businesses. Efforts to better understand the potential for financial derivative contracts included projects on hedging lumber with lumber futures contracts (Deneckere et al 1986), calculating the option value of converting timberlands to alternate uses (Zinkhan 1991), using option valuation to confirm estimates of optimal forest rotations (Plantinga 1998), and valuing forest assets using option pricing models (Hughes 2000). And in 2002, I initiated research into risk management specific to forestry investments and forest business management by studying opportunities for using widely accepted financial contract structures and strategies for optimizing the financial performance of timberland and forest industry assets. Ten years ago, I asked “Given developments in the broader field of applied finance, how might forestry professionals and timber-dependent firms enhance their financial risk management associated with forest management and timberland investments?” Today, after a market crash and recession, the question remains relevant, though with a shorter leash and narrower focus. 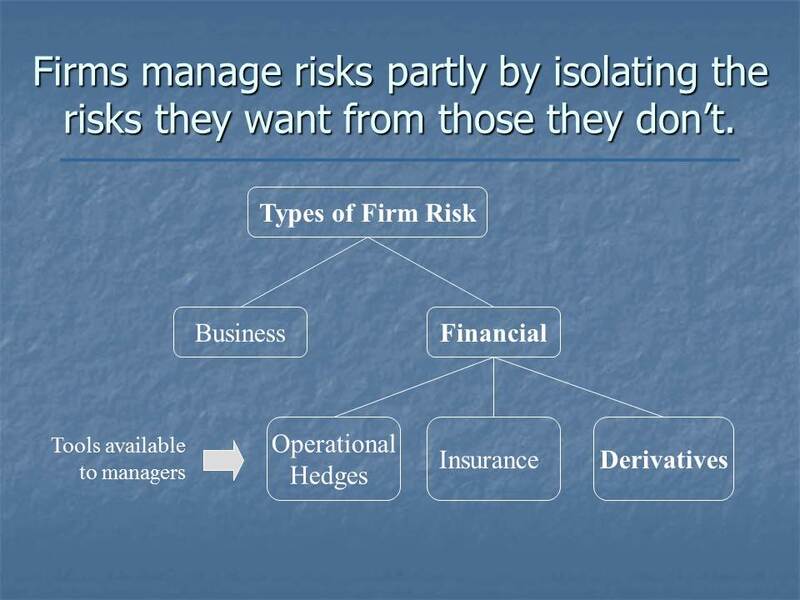 Ultimately, we wish, more than ever, to better understand how to think about risk management – the identification, assessment, and management of a firm’s exposure to selected forms of risk through the use of insurance, financial derivatives, and operating strategies – and financial risk – those risks that a firm is not in the business of bearing – in the forest products industry. Part II discusses hedging strategies and their potential relevance to the forest industry. Since 2003, Dr. Brooks Mendell has delivered keynotes and workshops throughout North and South America, in English and in Spanish, related to risk management in forestry and timberland investment markets. To schedule Dr. Mendell for your event, please contact Heather Clark at 770.725.8447 or hclark@forisk.com.